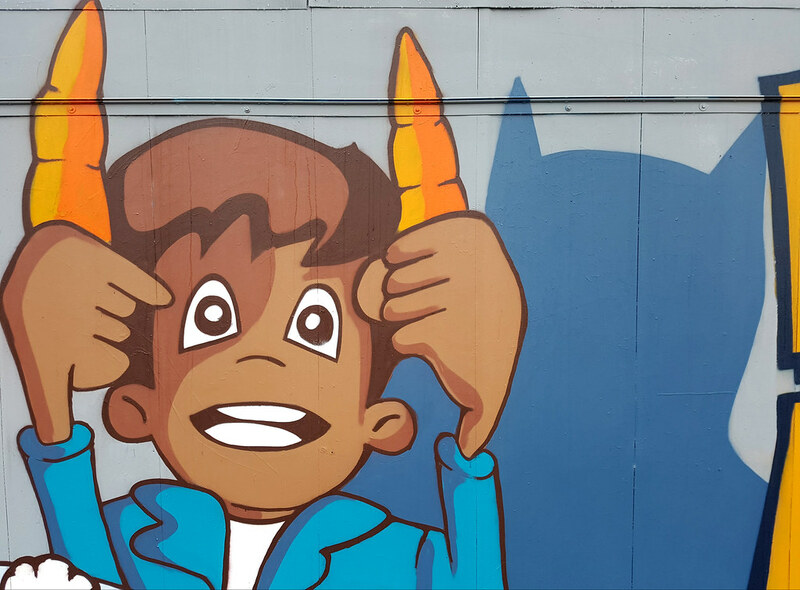 A new year and some new food resolutions to help kick start a healthy eating regime. 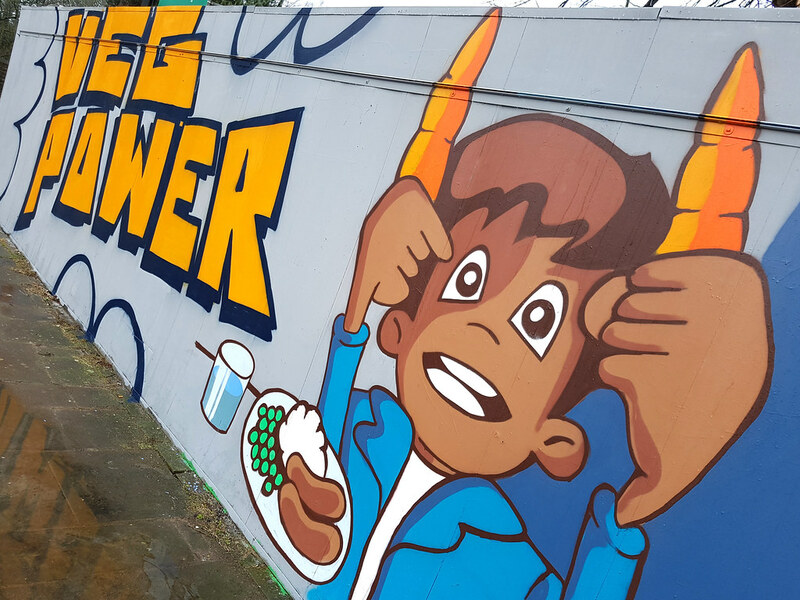 Veg Power is a campaign simply to encourage children in the UK to eat more veg. 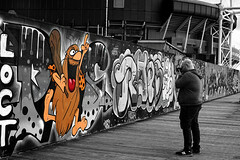 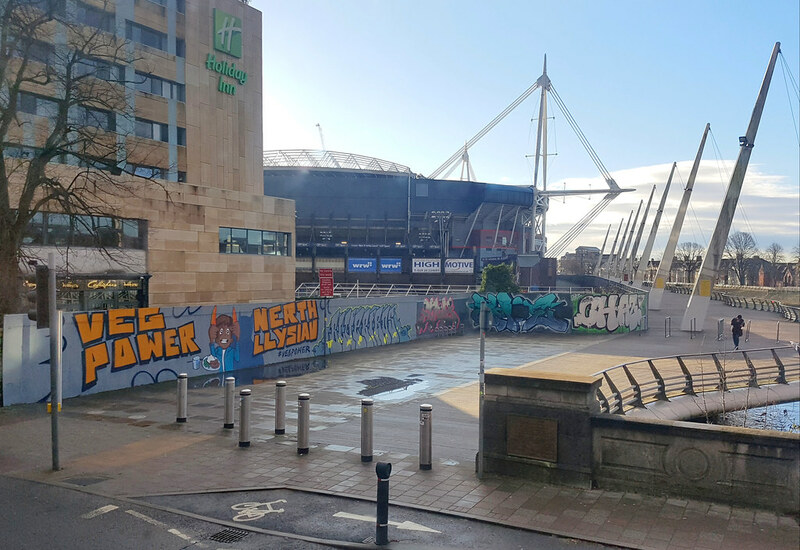 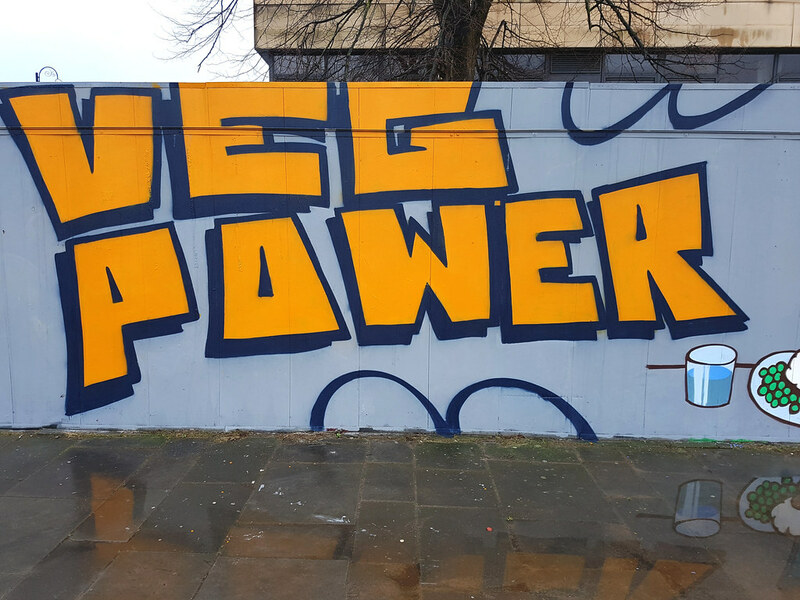 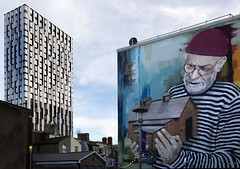 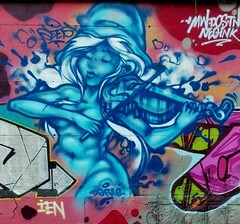 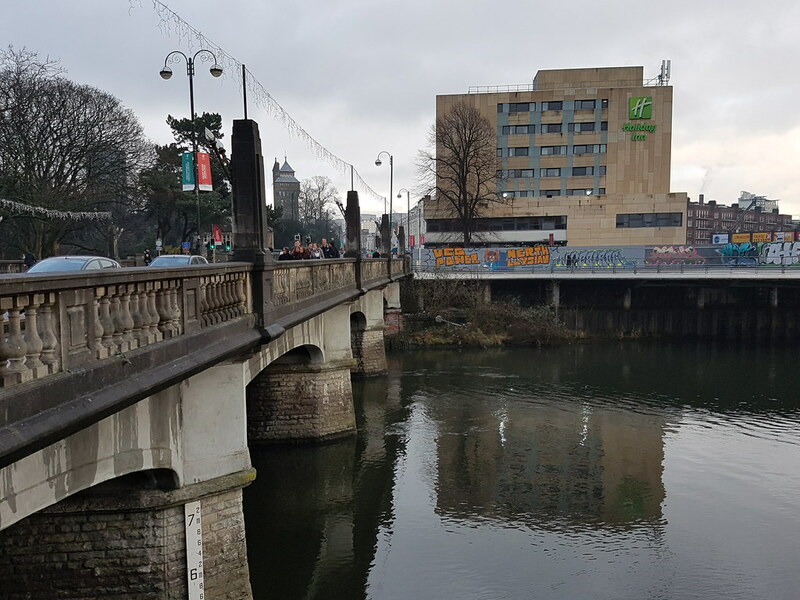 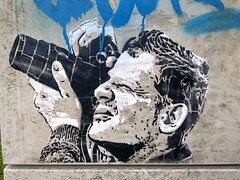 In mid-January local artist Oner took to the Millennium Walkway to paint as part of the Veg Power campaign. 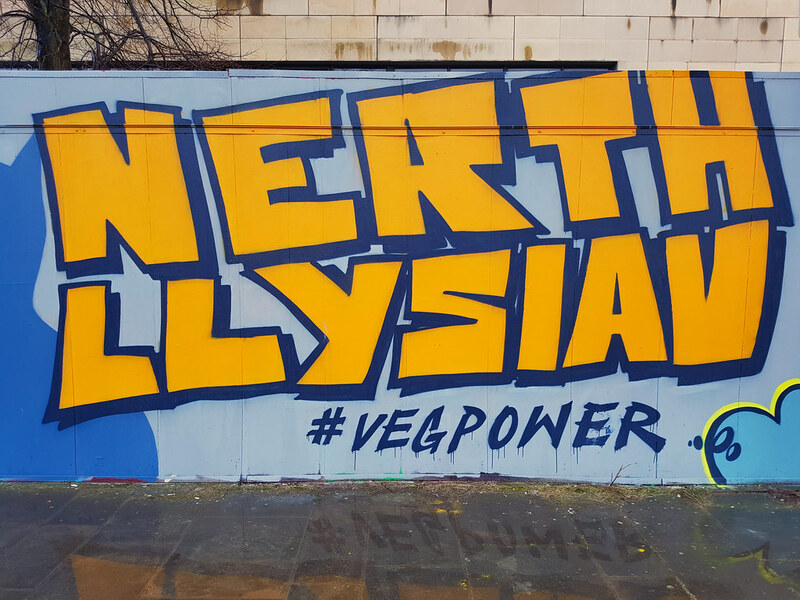 With huge orange letters screaming ‘Veg Power’ and the Welsh equivalent ‘Nerth Llysiau’ emblazoned across the wall. 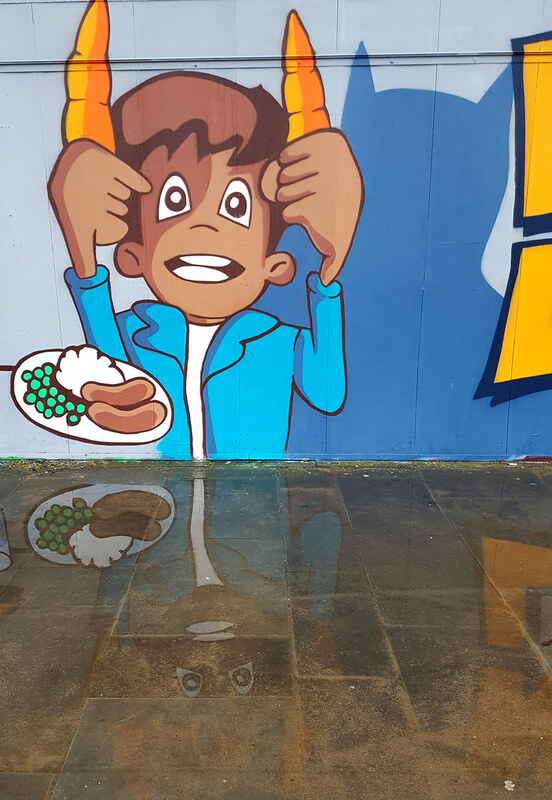 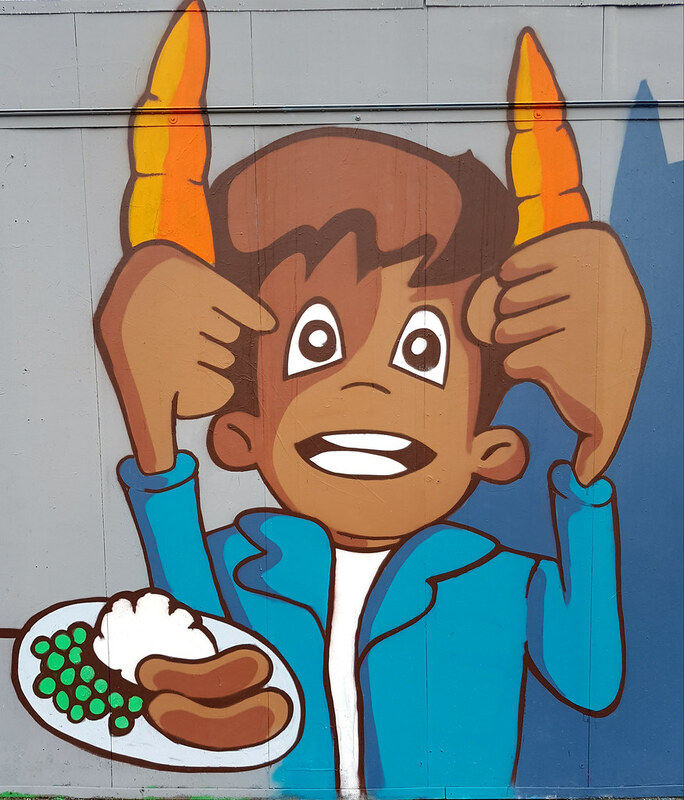 A child takes centre stage complete with a plate of bangers and mash (with some peas of course) and is painted grasping two carrots – loving the shadow! 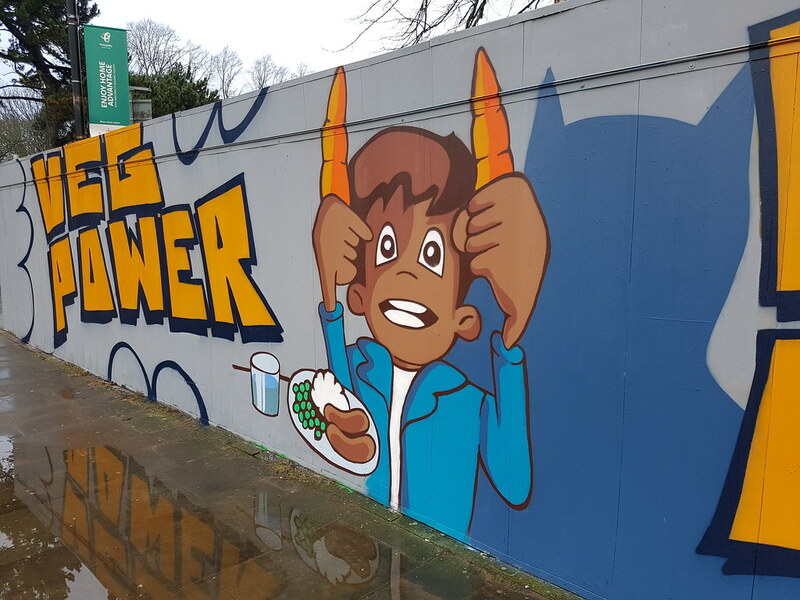 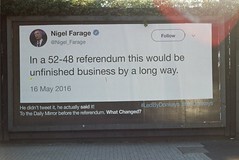 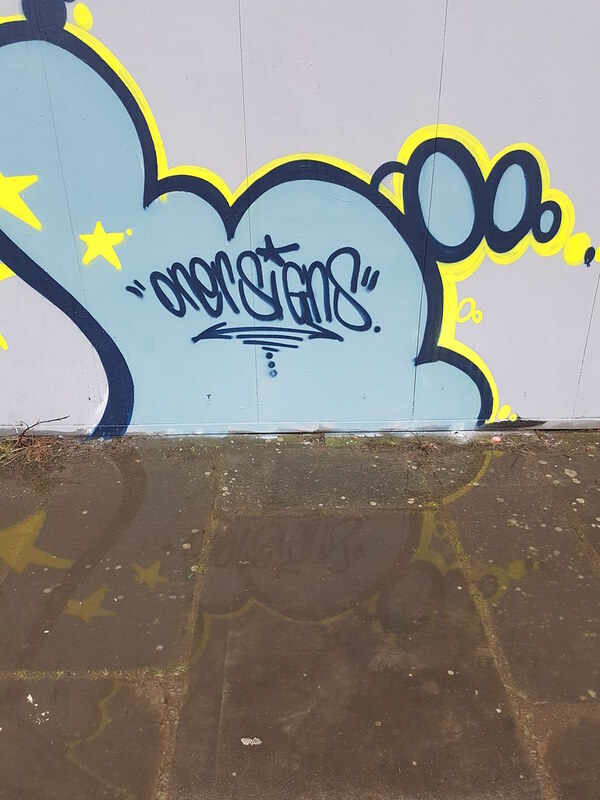 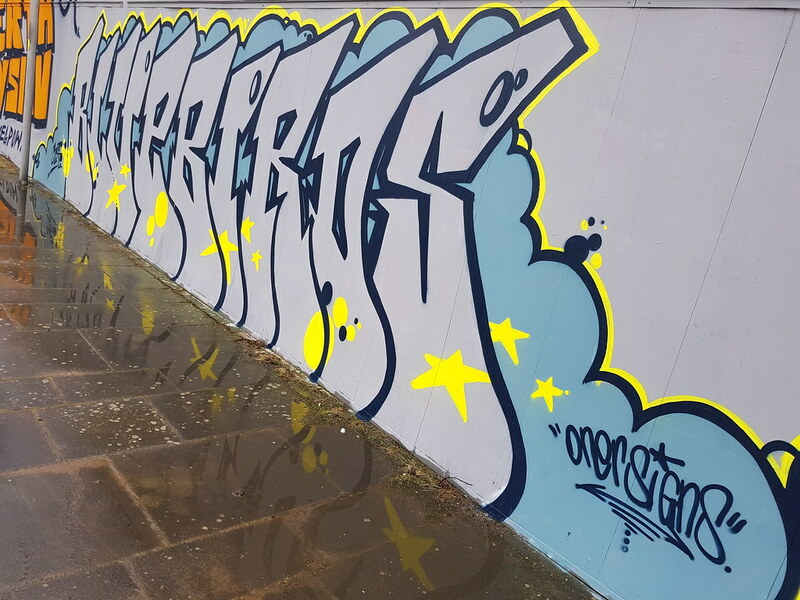 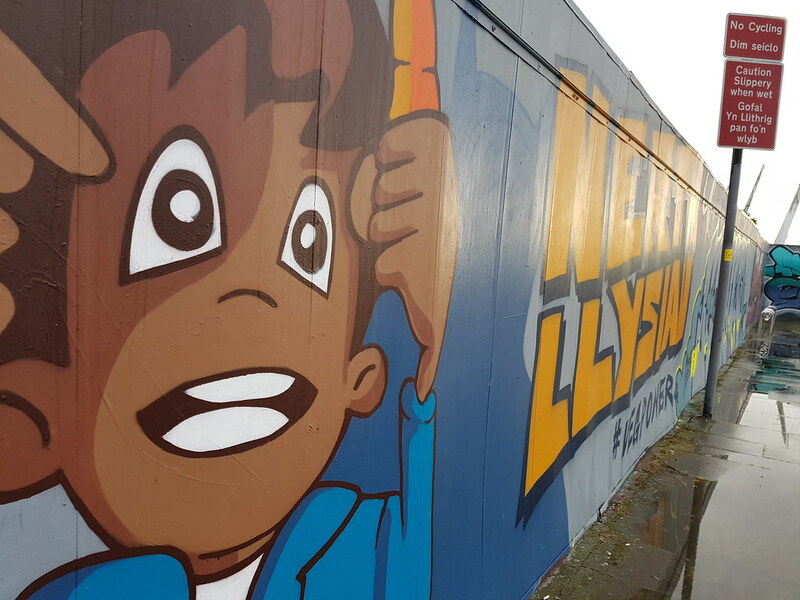 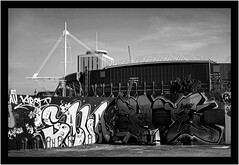 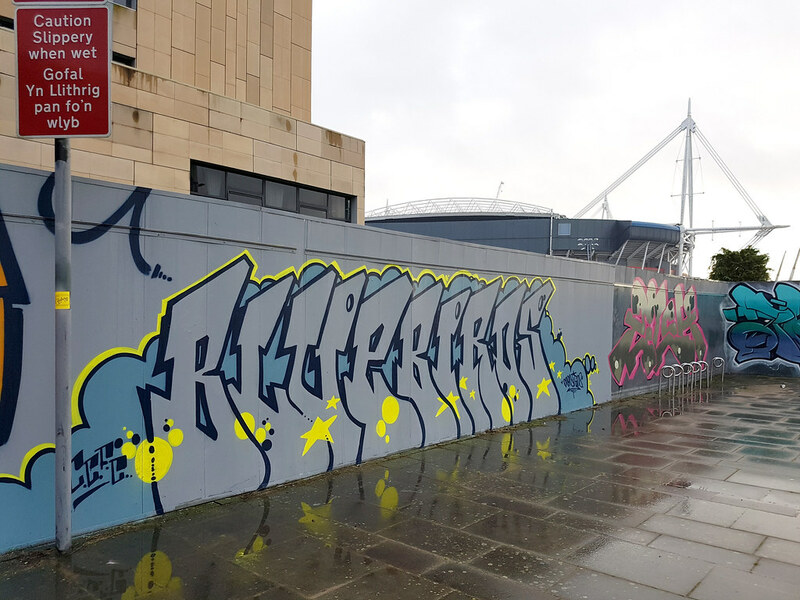 Next to this was some more work from Oner and more support for the home football side pf Cardiff City – let’s hope they eat their greens bring home some silverware this season!